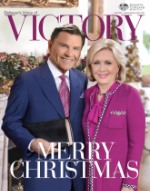 “God Is Pleased When You Accept Illness Gracefully” by Gloria Copeland There are a lot of religious traditions floating around the Church today that are just plain wrong. For years, Christians have believed these lies about all sorts of things. They’ve even gone as far as to lift them up as holy. Well, in this six-part series, Lies Christians Believe about Healing, I’m going to talk about the biggest lies Christians often believe about healing. Understand, it’s not about what I believe; it’s about what the Word of God says. The Bible says the traditions of men make the Word of God of no effect (Mark 7:13). In the same way that truth sets people free, traditions, or religious lies, keep them bound. These lies stop the Word from working in people’s lives because there is nothing to produce faith. Faith comes by hearing the Word of God (Romans 10:17). Jesus said in Matthew 15, when He was warning the Pharisees about all their unbiblical rules and ideas, “Ye made the commandment of God of none effect by your tradition” (verse 6). Personally, I want to make sure that I never believe a lie instead of what the Word of God says. I don’t want my heart to get hard and unperceptive so that I can’t see and hear the truth. I want to walk every day in faith so I can be healed and blessed in every way. I’m sure you do too. So let’s take the time right now to check up on ourselves. Let’s look at some of the most common healing-stealing traditions and make certain we’ve run them completely out of our lives. Lie #1: God is pleased when you accept sickness gracefully. I’ve never figured out how people came up with this idea, but somehow (with a lot of help from the devil) they did. They decided that, as Christians, we can glorify God by suffering physical illness or infirmity without complaining. There could be no greater lie in the world than that! Only the devil gets glory when our bodies are incapacitated. God gets glory when we have the physical strength and health to be of service to His kingdom and a blessing to others. As Jesus said in John 15:8, “Herein is my Father glorified, that ye bear much fruit.” You can read the New Testament from front to back and you won’t find any record of God getting praise because someone on a sickbed said they were suffering for Jesus. No, He received praise when someone had a testimony to share with the world. In the ministry of Jesus, God got glory when “great multitudes came unto him, having with them those that were lame, blind, dumb, maimed, and many others, and cast them down at Jesus’ feet; and he healed them: insomuch that the multitude wondered, when they saw the dumb to speak, the maimed to be whole, the lame to walk, and the blind to see: and they glorified the God of Israel” (Matthew 15:30-31). Clearly, it’s healing, not sickness, that glorifies God! In my next article, I’ll continue this series: Lies Christians Believe about Healing #2. If you are struggling with an illness or know someone who is struggling with an illness, be sure to read it. Identify any religious lies that are holding you back from receiving your healing. Remember, your healing is what glorifies the Lord and makes Him happy, not your illness!